Join CCJ and renowned percussionist Carol Steele on an exploration through the diverse music and dance that make Cuba extraordinary! 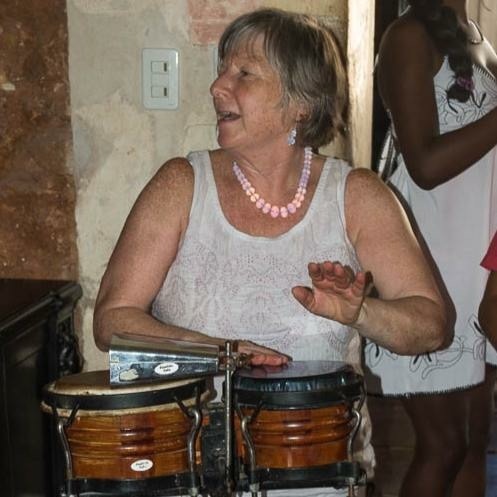 Join renowned percussionist Carol Steele and Cross Cultural Journeys on an exciting People to People learning journey as we explore the colorful, vibrant history and culture of Cuba through meeting with the local people. Discover elegant, exuberant Havana: its friendly citizens, contemporary artists, exceptional architecture, music, and colorful outdoor markets. It will surprise you with its richness and depth of culture. Travel outside the area of Havana to the rural biosphere planned community of Las Terrazas, to French colonial Cienfuegos, the bustling Spanish colonial town of Trinidad, and the city of poets and bridges, Matanzas. 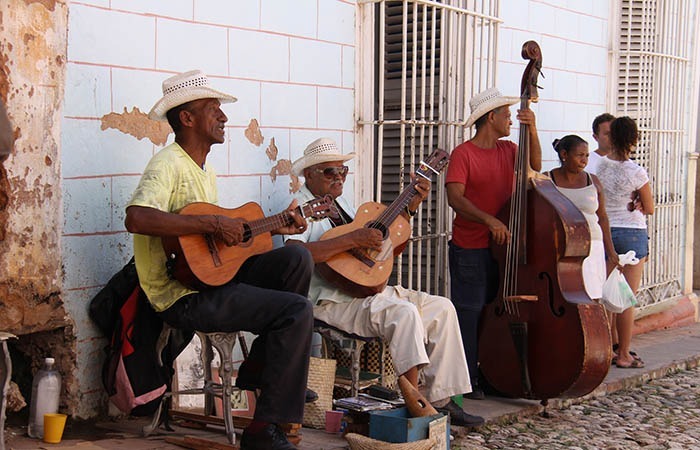 Enjoy music and dance everywhere as an expression of the soul of the Cuban people. Mingle with renown musicians at local performances as you meet local people who welcome visitors with friendly smiles, laughter and conversation. Spend time with well-known and also up-and-coming contemporary artists in their studios. CIENFUEGOS, Cuba’s La Perla del Sur, the “Pearl of the South” summons travelers from around the world, drawn into its seductive melee of French Colonial spirit and architecture. A relatively young city, Cienfuegos was settled in 1819 by French and Louisianan immigrants and to this day retains much of its former charm, leading to its 2005 declaration as an UNESCO World Heritage site. 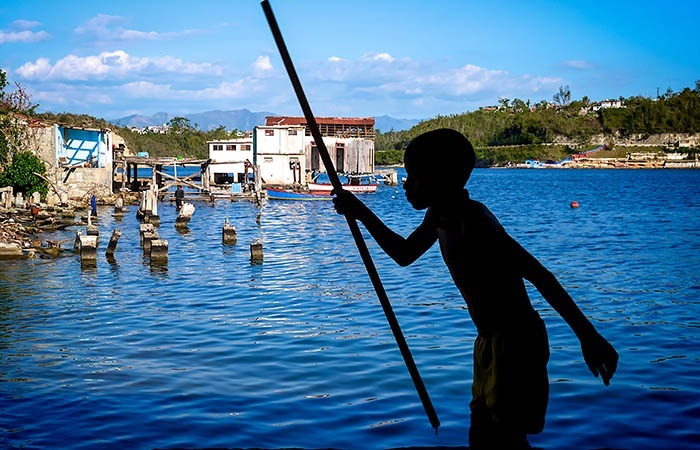 MATANZAS, sometimes called the Venice of Cuba, is home to seventeen bridges that cross its three rivers. It is also affectionately called the Athens of Cuba, due to it reputation as a center for for poets, culture, and Afro-Cuban folklore. HAVANA is a bustling hub on one of the world’s greatest natural harbors. A showcase of the wealth, power, and sophistication of Cuba from the time of its 16th-century founding, to becoming the greatest port of New Spain. Today, it is a center of beautiful decay and the stirrings of change, among all the best in Cuban art, music and culture. Carol Steele has been traveling and playing music in Cuba for more than 25 years and introducing the island to fellow travelers for 15 years. Carol exudes enthusiasm for music, and for the culture, history and people of Cuba. A renowned percussionist, Carol has performed or recorded with Peter Gabriel, Steve Winwood, Joan Baez, Tears for Fears, Bette Midler, and many other well-known artists. The first American women to perform with Los Muñequitos de Matanzas, (one of Cuba’s most famous folkloric groups), she played and sang on tour in the United States with Lazaro Ros and Amelia Pedroso, Afro-Cuban folkloric singers. After years of careful study, Carol has been initiated into the Regla de Ocha, the traditional Santeria rituals. She enjoys sharing her experience and knowledge about the history of the religion, music, and art as a form of prayer. INCLUDED: In country transportation per itinerary; first class accommodations in Havana and best available in the provinces (double occupancy); full breakfast buffet daily at the hotel plus 8 lunches and 6 dinners (B/L/D per itinerary); Cuban English speaking local guide; all entrance fees on itinerary; preparation materials; tips for bellman and hotel staff, included meals on itinerary and bottled water on the bus. 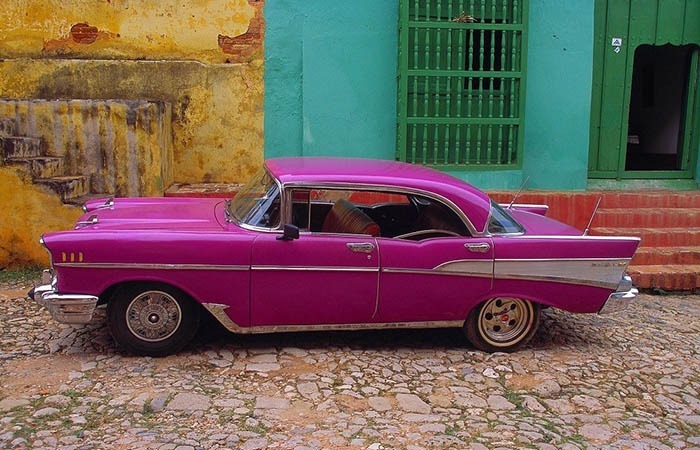 NOT INCLUDED: International air, Cuban visa, departure tax and medical insurance while in Cuba; meals not on itinerary, 2 lunches and 4 dinners (B/L/D per itinerary); alcoholic drinks; excursions not on the itinerary; tips for local guide and driver (optional, yet customary); and Travel Protection.